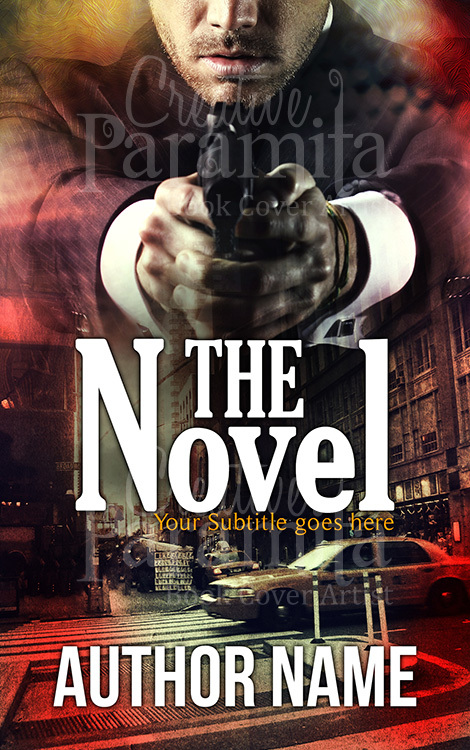 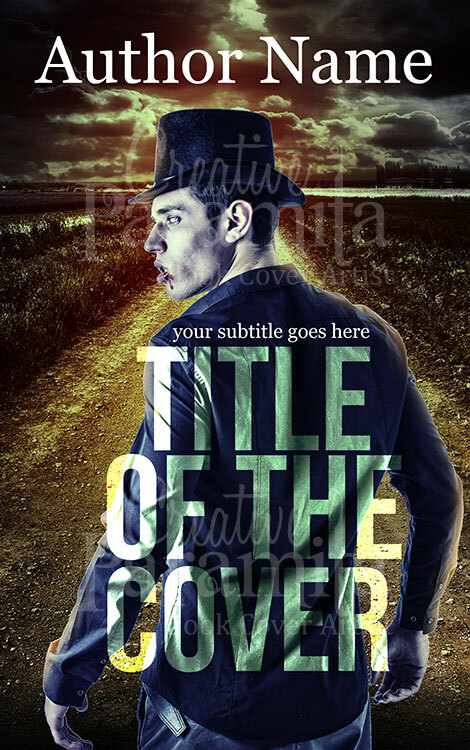 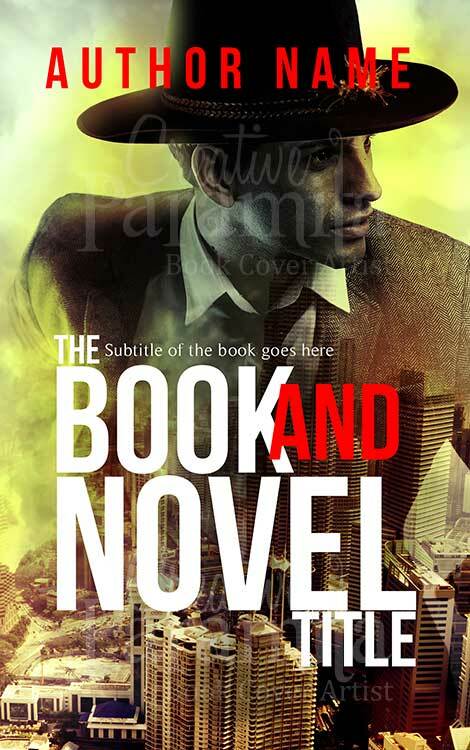 Premade ebook cover for action adventure crime novels on cowboys or wild west style fiction stories. 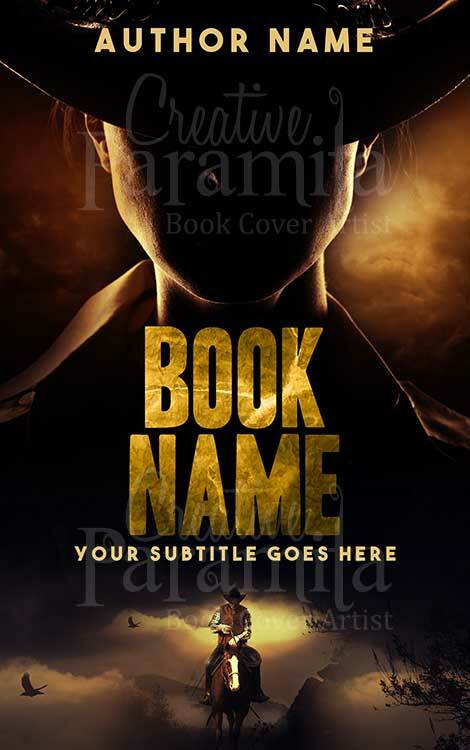 The premade book cover design portrays a female cowgirls face on the top that can be barely distinctive and shrouded by shadow and another rider can also be seen fleeing on a horses back. 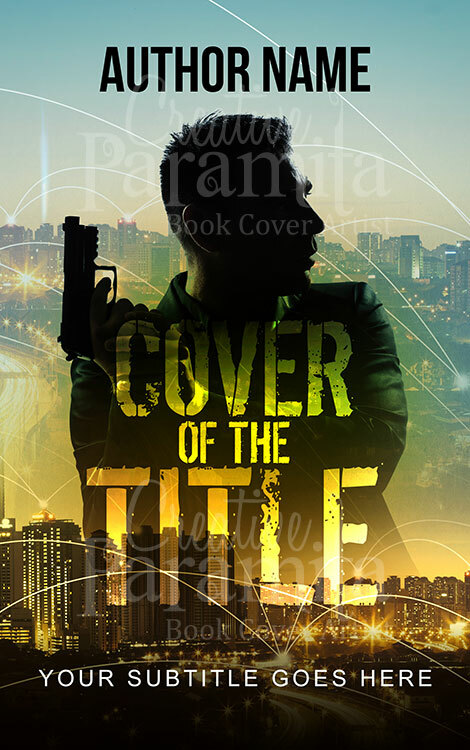 Colors of the ebook cover design is particularly attractive and eye grabbing with bold typography styling for the title text.